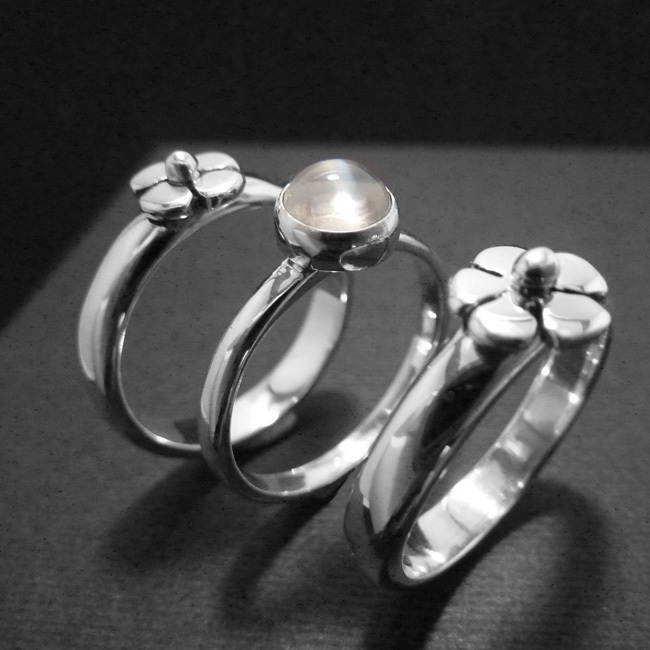 Three beautiful sterling silver rings which can be stacked together as a three-ring piece or can be interchanged depending on choice. 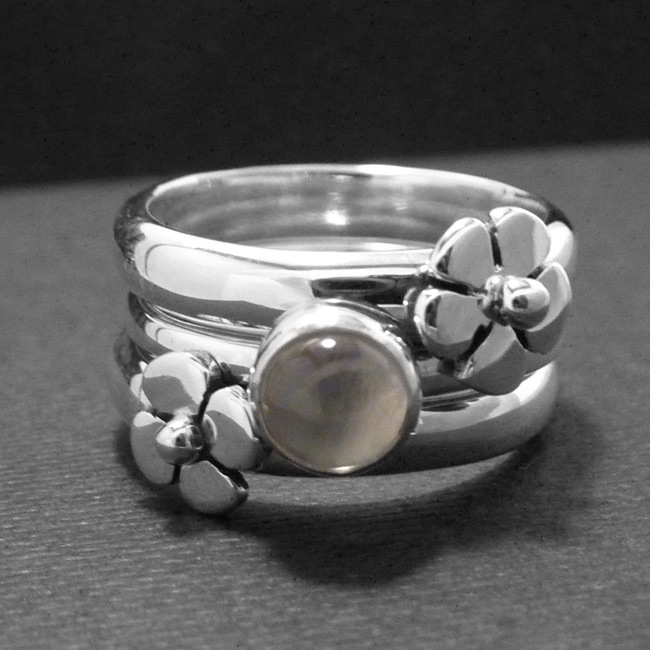 Two individually handmade rings with detailed flower design and a third sterling silver Moonstone gemstone ring. Turquoise, moonstone and lapis lazuli shown in thumbnails. SKU: N/A. 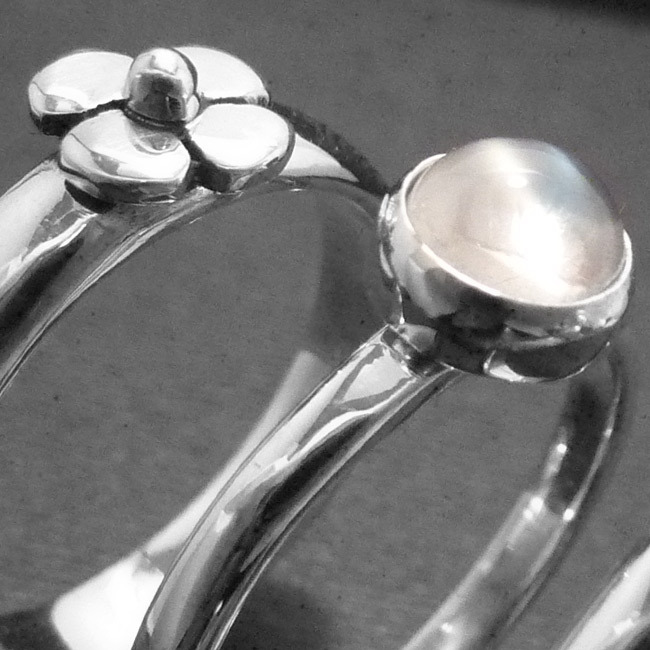 Availability: In stock Size: N/A Categories: All Jewellery, Rings, Birthstones, Ring, For Woman, Collections, Daisies, Birthstones. 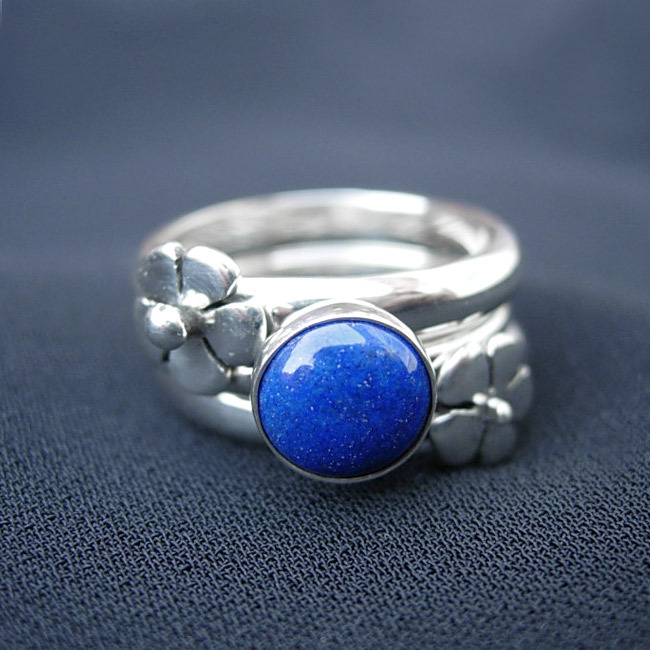 Tags: bespoke silver, birthstones, blue goldstone ring, boho jewellery, flower, gemstone, handmade silver, jewellers, jewellery, jewellery designer, jewellery maker., lapiz lazuli, liverpool, LWSilver, moonstone ring, north west, ring, silver, silversmith, stack rings, stacking rings, sterling silver. 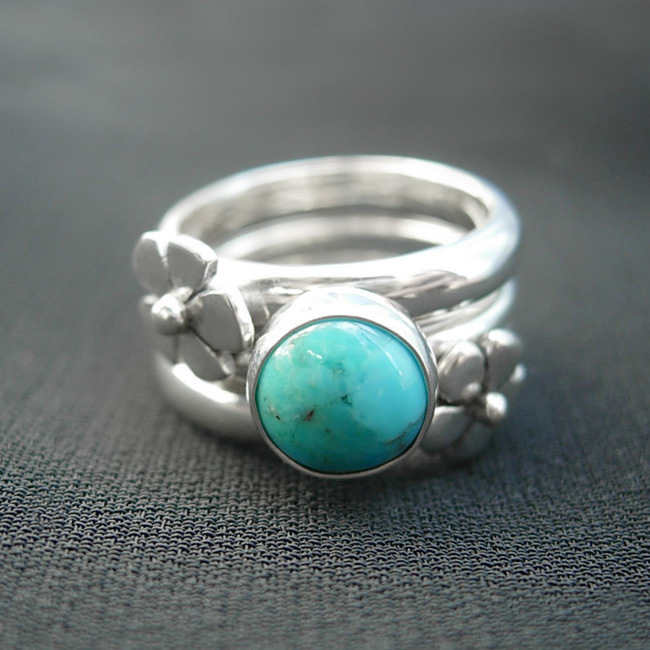 925 silver, turquoise ring, uk, wedding rings, wirral.